You might have read the news earlier this weekend that Royal Caribbean is offering discounts on select drink packages, internet packages, shore excursions, specialty restaurants and more, which has you thinking if this new promotion can save you some (more) money. But what if you had already purchased an internet package and now the price is cheaper? Here is your guide to canceling and rebooking with Royal Caribbean's Cruise Planner! The good news is, anything you purchase via Royal Caribbean's Cruise Planner is fully refundable up to two days before your cruise is set to begin. If you cancel the item, the value will be refunded back to the form of payment that was originally used within 3-4 business days. This means, if you are debating if you want to buy something from the Cruise Planner, but have not made up your mind, you can lock in these prices and still have time to cancel with no penalty. You can still cancel one of these items onboard your Royal Caribbean ship, but be aware that the refund will come back in the form of onboard credit, instead of back to your credit card. If you find there is a better price for a package, service or experience and want to take advantage of that lower price, here is what you have to do. 1. 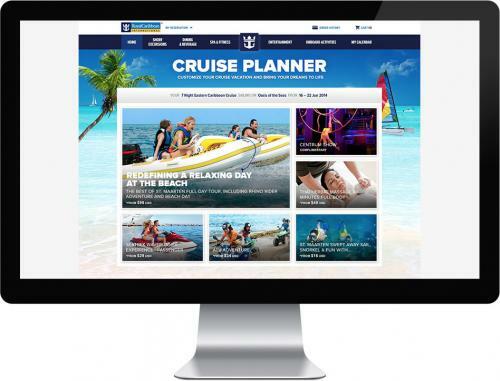 Log into your Royal Caribbean account and proceed to the Cruise Planner for the sailing you have in mind. 2. At the top right corner of the pick, click Order History. You will want to cancel the item you bought first, and then re-book it later. 3. 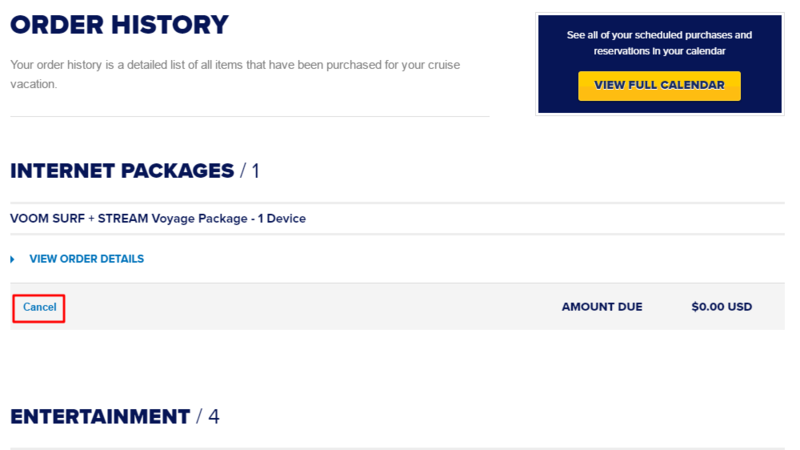 Once at the Order History page, you will be able to see everything you have reserved or purchased for your cruise. From here, find the item you want to cancel and click cancel. 4. Follow the next few steps to confirm the cancelation. You should find yourself at a screen that displays a confirmation message with the exact refund to the form of payment used. As stated earlier, it may take a few business days for the refund to be made. 5. Now that you have canceled the original purchase, you can proceed with re-purchasing the item at its lower price. Alternatively, you can call Royal Caribbean directly and have them cancel and/or re-purchase the items to take advantage of the new price. Find the Royal Caribbean customer service number in your country and then work with the agent to make the change. We recommend using the Cruise Planner because it is quite simple, and will end up being quicker than dealing with phone hold times and repeating to the agent all of your booking information and billing details. First time cruisers: What drinks are included with your Royal Caribbean cruise?